A whole family of instruments for the amateur astronomer. For its various instruments produced and in the course of being manufactured, NortheK has adopted the policy to work in function of the optical diameter, and from this latter develop a whole family of telescopes. The motivation behind this choice is the possibility to increase the production run of many common parts and consequently reduce the manufacturing costs, in order to supply the highest quality possible in that price range. Each instrument has specific characteristics and its areas of use. Accordingly, the Dall-Kirkham uses a not too excessive focal length but a short optical tube; the Newton f/6 is extremely universal and useful for any application; the Astrograph allows to make the most of its brightness (increasable to 2.8 with appropriate corrective flattener) by those wanting to shoot stacks of raw images in one night. The “230” series uses Feather Touch 2-inch focusers fitted with reduction gearing. The fully guaranteed and certified optics are made in low thickness Suprax, so as to allow to quickly reach thermal equilibrium and reduce the overall weight of the instrument. Typically, the basic correction is P-to-V 1/10, RMS 1/30, Strehl 0.96. The producer is Oldham Optical, a very experienced and reputable British company which has now become a reliable partner of NortheK. The manufacturer has therefore wanted to construct a simple, sturdy telescope that was also easy to carry around. Obviously, while cost is a key factor for this users group, it cannot pricewise be compared to products from the Far East, but rather to a definitive instrument sold at prices that are still accessible to many sky lovers. With the exception of the Scout 230 for understandable reasons, another important aspect is the possibility to use these telescopes also on economic mounts. The very sturdy carbon fiber and light weight structure allow to make the most of many of the supports on the market, with great benefits for those who, for instance, only make visual observations. The Ultra 230 mm f/6 model is excellent for multipurpose uses. In order for economies of scale to be achieved, also on this series of telescopes are fitted components usually found in larger diameter telescopes (the 250 mm series): Feather Touch focuser, high precision AxyS support system for secondary mirrors and cell with floating points. Always for this reason, the rear collimation micrometers have not been used, in favour of the more traditional adjustment system with micro-threaded push-pull screws. The current production is also equipped as standard with forced ventilation, not present in the previous samples. All models are practically similar in terms of components, varying only some mechanical measurements. While this has permitted to greatly lower the production cost, it allows the manufacturer to guarantee the absence of any torsion or bending of the optical tube within the values set by the focus and optics. The Scout 230 mm model is factory equipped with motorized Feather Touch system, which can be fitted as optional on all other models. The first of this family is the DK 230, a Dall-Kirkham 230 mm f/12 (2700 mm) with a limited obstruction and an equally contained overall size. 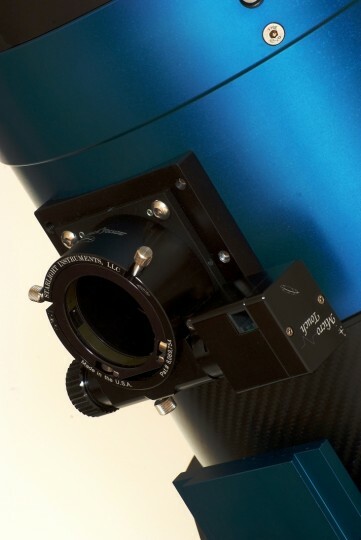 This telescope provides great satisfaction either for visual observation or planetary imaging, and it can effectively be used on low-end mounts (the aluminium model weighs 12 kg, the carbon fiber model only 9 kg). It reaches working temperature very quickly and it is easy and practically ready to use. 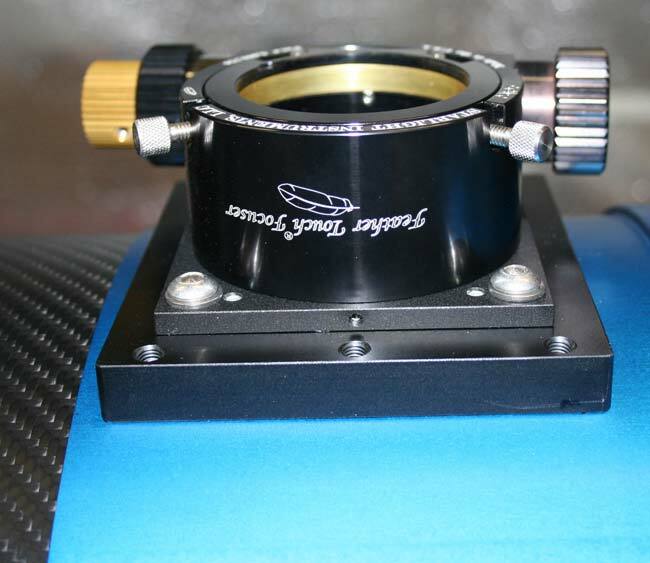 The only recommended accessory for planetary imaging, or general use, is the focuser motorization, sold separately. It is supplied with two very strong rings and a Losmandy rail with a further counter-plate useful for mounting parallel instruments (the rings are built so as to accommodate one or more plates in whichever position). The DK 230 is a telescope designed for those who have handling or space problems, but that nonetheless want a high-quality instrument capable of providing great satisfaction for many years. Nothing is left to chance: suffice to say that the optical tube is derived from 10 mm extruded aluminium, and its thickness is 4 mm and 7 mm at the bearing points. This may seem excessive for the loads of the tube itself, but it is not so when we then apply parallel loads or expect that the secondary mirror support system operates accurately and efficiently during collimation. 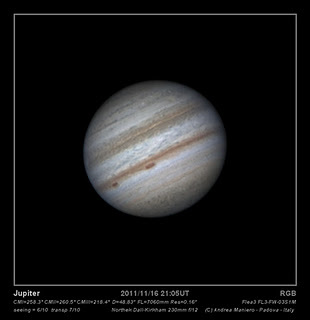 The Dall-Kirkham 230 mm f/12 is a great instrument for planetary applications. The second model of the 230 mm series is the Ultra 230; a classic Newton f/6 telescope with a long-focus that does not call for extreme uses but that becomes the classic all-rounder and beloved Newton. Constructed of carbon fiber to reduce the weight (15 kg) and further strengthen the optical tube, the Ultra 230 has a secondary mirror of still limited size (central obstruction around 30%) which performs excellently both for high-resolution and deep sky works. Other secondary mirrors are available and can be fitted on request. The Ultra 230 is a fine telescope for anyone who has a semi-fixed station, such as in the garden, and only needs to fit the optical tube to the mount. This telescope should be considered as a definitive instrument (perhaps alongside the 100mm f/13 achromatic refractor for the Sun and the Moon) for those amateur astronomers who do not want to, or cannot, be burdened with bulky, expensive and difficult to use equipment. Already with its 230 mm aperture it can surely provide great satisfaction without requiring particularly expensive accessories (such as large CCD sensors), thus remaining an instrument for amateur astronomers but with high-performing features. The Ultra 230, which is equipped as the DK 230, is easy to carry and transport, even with a small car, to locations where skies are darker or the seeing more favourable. The primary focal length of 1380 mm allows, with the interposition of 2-3x Barlow lens, to reach focal lengths suitable for planetary photography and, what’s more, in viewing mode it does not require the use of awkward eyepieces which focal length is too short. All models from this manufacturer are ready to use and supplied with rings, finder, clamping plates etc. The Dall-Kirkham version is available in aluminium or carbon fiber, complete with rings, Losmandy/Vixen rail and counter-plate. The third and final model of this family of telescopes is the most sophisticated, and it is aimed at experienced astroimagers. Even though the Scout 230 is not for everybody’s pocket, it is a specialized instrument specifically designed for small to medium sized sensors (diameter of the flattened and corrected field with appropriate corrector, about 20 mm). The 230 mm f/3.8 Newtonian can be used with a standard corrector, or with a (more costly) dedicated 2-inch corrector, which though reduces the focal ratio to f/2.7. An instrument with very clear technical priorities (given that collimation is a key fundamental in order to use it at f/2.7), but extremely useful for gathering large quantities of raw images for post-processing. 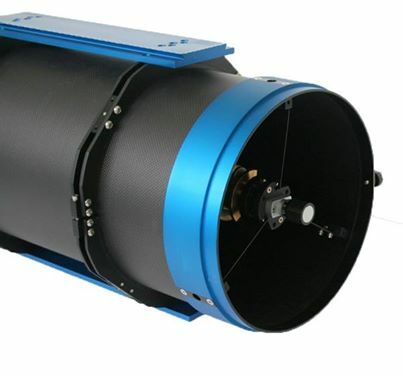 This instrument is designed for sensors still accessible to amateur astronomers (while for bigger sensors we have opted for a 250 mm model, namely the NortheK NW 250 EVO with a 3” corrector) and moderate loads on the focus, to the benefit of transportability and compactness. 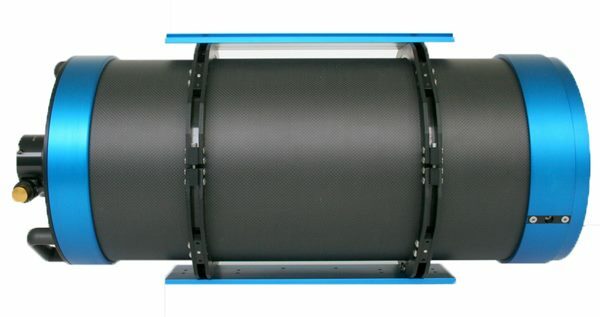 The manufacturer underlines that this telescope, with such extreme focal ratios, will mercilessly point out any issues relating to sensors or support systems (filter wheels), and consequently, prior to choosing the entire set-up, recommends to contact its sales department in order to fully comprehend the particular characteristics of this instrument and make the best of the purchase. As a guideline, the total weight of the three models ranges between 9 and 15 kg, with the variant of the lever for the Newton focus, and each model requires – according to the own means – the appropriate mount. For the rest they are pretty much alike and with little practice they can be masterly handled to squeeze out the last photon. The “230” series is basically a system intended for those who want to purchase a definitive telescope capable of providing great satisfaction for a long time, without being tempted by trends or approximate and little versatile constructions. These telescopes are designed for those who work in normal European skies and, in the case of the Scout 230, when wishing to travel wants to produce a large amount of material to process later, making the most of the trip and favourable night. The secondary mirrors are equipped with micrometer for the precise positioning of the mirror. The “230” models are obviously customizable and can be accessorized to suit customer requirements.